A blackmailer whose teenage victim took his own life has been sentenced to four years in prison. 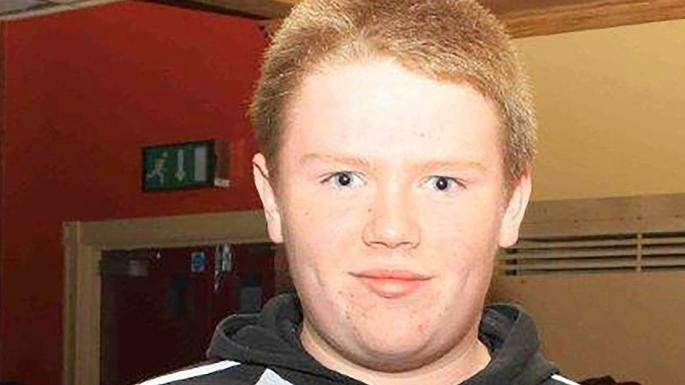 Ronan Hughes, 17, from Co Tyrone, died in June 2015 after he was targeted by Iulian Enache, 31, and tricked into sharing intimate images of himself online. Some of the pictures were sent to friends when he did not pay a ransom. Enache, a Romanian national, pleaded guilty and was sentenced to four years in prison by a court in Romania for blackmail and producing and distributing indecent images of a child, the PSNI said. “A four-year prison sentence is no compensation for the loss of Ronan Hughes — a young man who had his whole life ahead of him — however, there can be no doubt that the sentence means others will be spared the pain and loss experienced by the Hughes family at the hands of Enache,” James Mullen, a PSNI detective chief inspector, said. He will be released in 2019 under provisions in Romanian law and taking account of the time he has already served. The chief inspector said that the Hughes family, from Clonoe near Coalisland, had shown great dignity. He added that they had also displayed co-operation and patience during the investigation, which culminated in the sentencing at a court in Timisoara, western Romania, yesterday. Mr Mullen appealed to parents and guardians to do all they could to keep their children safe from the hands of criminals online. “We are all aware of the part social media plays in today’s society, therefore, it is incumbent on everyone to do what they can to stop offenders like Enache,” he said. “I would also urge anyone who has experienced anything of a similar nature, or has received any inappropriate images or links, to contact police or tell a trusted adult. You will not get into trouble. “This tragic case highlights that police will do all they can to pursue these online criminals who are preying on our communities. Ronan was a victim of what the police call webcam blackmail. Victims are tricked into sharing indecent images and are then told they will be sent to friends and family unless they pay a ransom. At the time of his death, Ronan’s parents said they believed their son had been targeted by a gang based in Nigeria but the PSNI’s cyber-crime unit traced the computer to Romania and worked closely with police officers there to identify the suspect. Enache was arrested in October last year in a joint operation between the PSNI and Romanian police.